As a Reseller Partner, gain access to over 200 best-of-breed products and services, allowing you to service your customers’ needs, wherever they may be. Maintain and grow existing customer relationships. Join a programme with easily achievable commission tiers and aggressive commission rates from day one. The most aggressive commission rates from day one. Access to an aggressively priced, high availability voice network, offering exceptional call quality at competitive call rates and hosted PBX solutions. Why should I join the Vox Reseller Partner Programme? With our Reseller Partner Programme, we give you access to world-class products and services, enabling you to meet your customers every need. 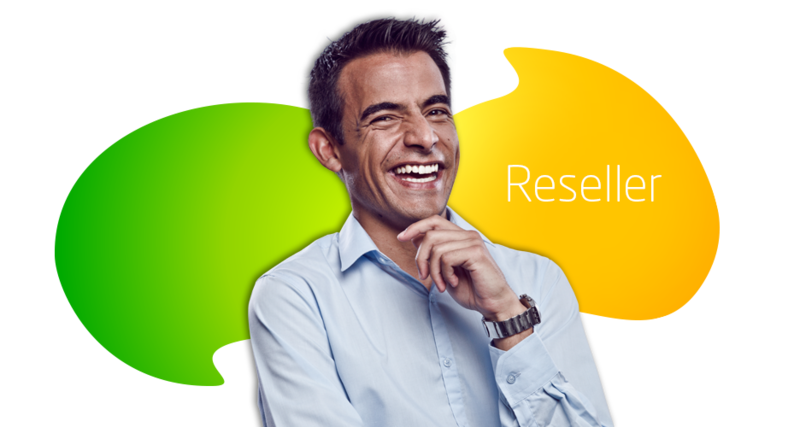 No, our Reseller Programme attracts no start-up, ongoing or ad hoc fees. Are there any legal requirements to become a reseller? Yes, you require a CES or ECNS licence, or alternatively, an exemption application registered with ICASA. How long before I can make commission? Your commission will be paid once the first service is installed. It will grow as your billing grows. Are temporary services available while I wait for my fibre to be installed? Yes, temporary wireless links are available - allowing you to get your customers up and running as soon as possible.